It is far too often that the weakest and most impoverished amongst us are further marginalised in the name of development and prosperity. Alas, this is what seems to be happening right now in Gwadar, where the development of the Eastbay Expressway — a component of the China Pakistan Economic Corridor (CPEC) that is to connect the Makran Coastal Highway with the Free Trade Zone of the Gwadar port — is threatening to deprive local fishermen of access to the sea. This is not an issue that has emerged recently. Gwadar’s fishermen were protesting against the current Eastbay Expressway model as far back as October 2018. 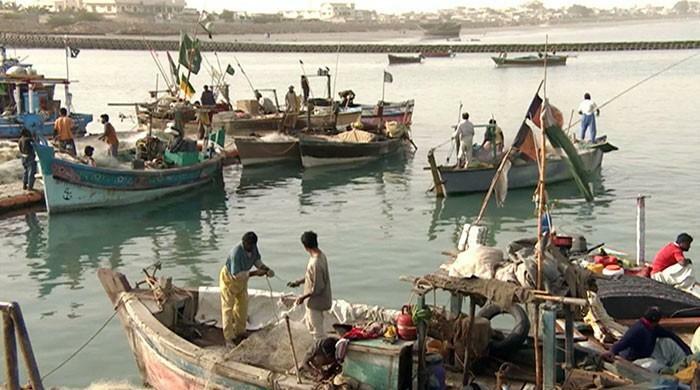 Leaders of the Fishermen Alliance had expressed concerns back then that the project would prevent them from fishing on Gwadar’s eastern port, which had been the only source of income for many members of the community for centuries. This protest continued for several days, and eventually culminated in a two-day strike on December 27 and 28. Apart from impacting the fishermen’s own livelihoods, the strike had impacted the country’s whole fishing industry as daily shipments overseas, including to Riyadh, Dubai and Kuwait, could not be sent. The protest was eventually called off after successful negotiations with the Balochistan government and the Gwadar Port Authority. However, development of the Expressway has continued since then according to its original design. Now the Fishermen Alliance has announced that its protests will continue. The authorities must honour the commitments made during the fishermen’s initial protest and redesign the Expressway model in a manner that allows the fishermen community access to the sea. It must be noted that all local political parties in Balochistan are supporting the fishermen, and failure to address the fishermen’s problems will result in more grievances in the province. CPEC will be a failure if it fails to accommodate all concerned parties, especially Gwadar’s local population. The project cannot be executed successfully if the local populace views it with mistrust. Furthermore, local communities will not derive economic benefit from the project for several years to come, which is why old sources of livelihood must be protected while CPEC projects are under construction. The Balochistan government and the Gwadar Port Authority must make good on their commitment to ensuring the fishermen’s access to the Arabian sea is preserved.